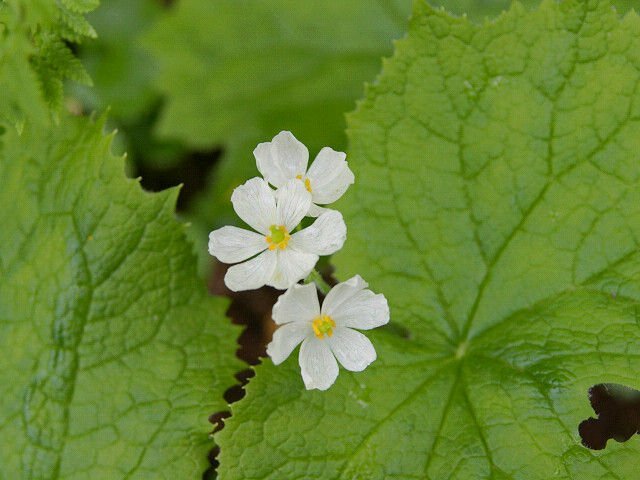 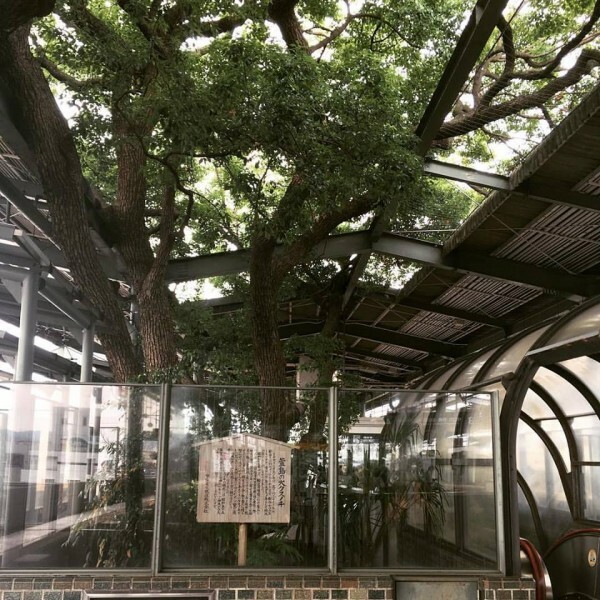 Whatever happened over four decades ago, it was enough to convince local authorities to abandon their plans and expand Kayashima station around the camphor tree. 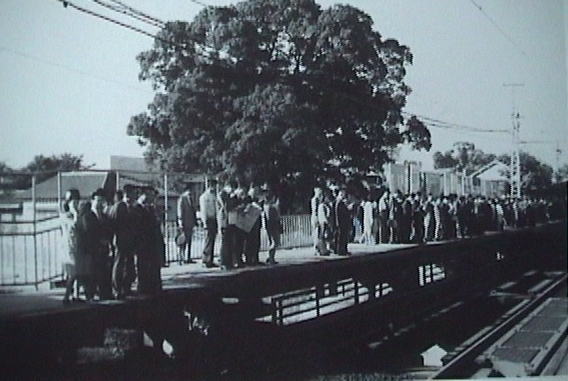 Not only that, but by 1980, when the new elevated station was completed, the tree was converted into a sort of shrine, surrounded by a fence of sacred plaques and “wearing” a sacred shimenawa rope strung with shime strips, which apparently symbolizes the presence of a deity and wards off its curse. 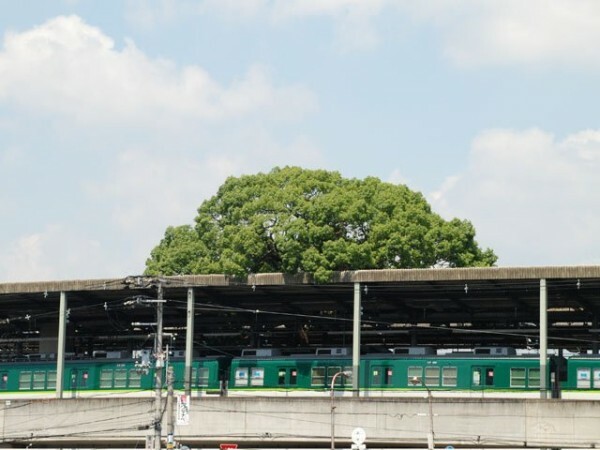 So there you have it, this majestic camphor tree rising out of a sea of concrete is pretty much the result of human superstition. 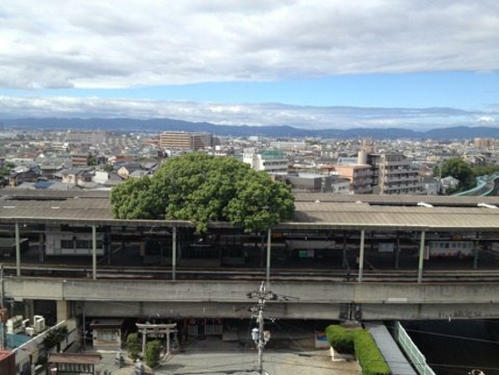 But whatever the reason, I’m glad it survived to become one of the most impressive sights in Osaka.